Carbonized Records, the new label imprint helmed by drummer Chad Gailey of Necrot and Mortuous, is pleased to officially unveil two new offerings: the self-titled debut from grind/punk practitioners DEADPRESSURE (now featuring MORTUOUS’ Colin Tarvin) and the two-song split between the death bringers in SCOLEX and MORTUOUS. Both releases are out now and streaming in celebration of Halloween! 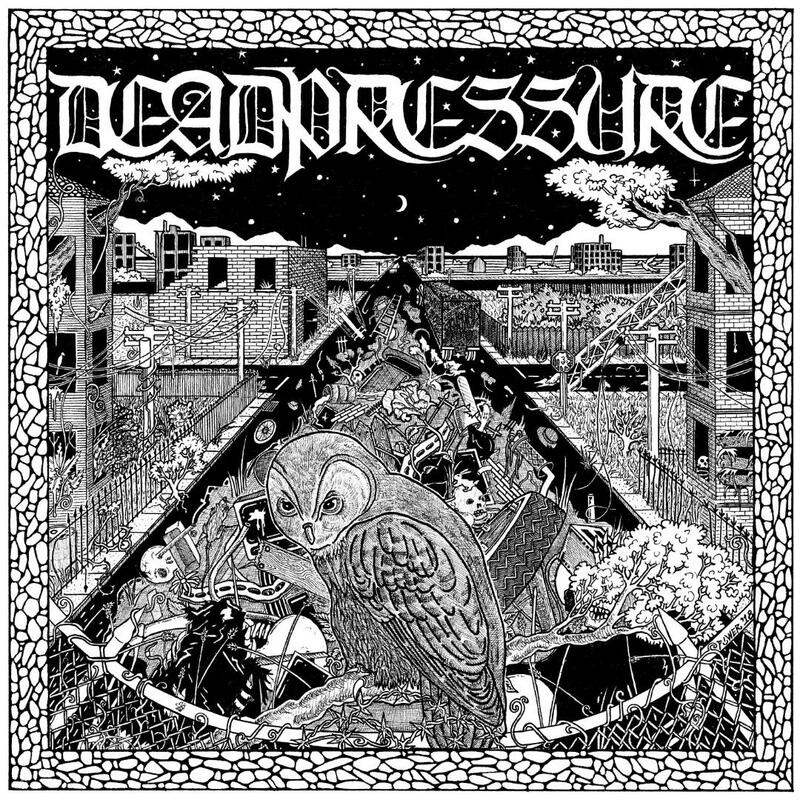 DEADPRESSURE’s self-titled punisher was recorded, mixed, and mastered in May 2017 by Greg Wilkinson (Brainoil, Deathgrave, Vastum, Noothgrush, Autopsy) at Earhammer Studios in Oakland California. Drawing influence from the likes of His Hero Is Gone, Neurosis, and Dead Congregation to create a sound that combines elements from across the punk and metal spectrums, the record boasts thirteen tracks of uneasy listening. Stream it in full at THIS LOCATION or below. SCOLEX’s antagonistic psalm was recorded by Salvador Raya and Greg Wilkinson (Vastum, Noothgrush, Autopsy) at Earhammer Studios in 2012 and 2017 and mixed by Wilkinson in October 2017. MORTUOUS’ bruiser was also recorded and mixed by Wilkinson at Earhammer in March 2018. The release was mastered by Dan Randall (Ghoul, Fucked Up) at Mammoth Sound Mastering in May 2018 and comes swathed in the grisly art of Sebastian Mazuera. Stream the split in full at THIS LOCATION or below. The SCOLEX/MORTUOUS split is also available on limited edition vinyl in two color variants – 250 gold and 250 black. For orders, visit the Carbonized website at THIS LOCATION.